... the first and largest store of its kind in the world devoted exclusively to the collector of miniature perfume bottles. 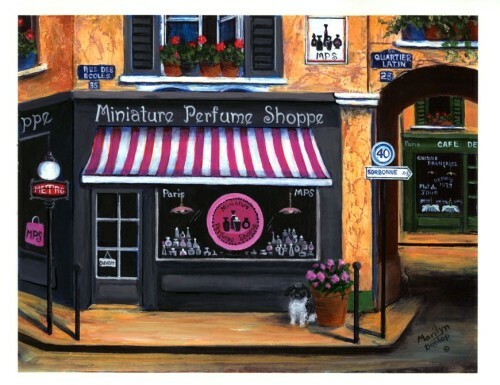 And with thousands and thousands of minis in stock, Miniature Perfume Shoppe is a bottle collector's and fragrance lover's dream come true. From Antaeus to Zut and everything in between, here you will find a charming array of rare, vintage, and hard-to-find miniature perfume bottles from decades past to present day, as well as the very latest minis and fragrances from The Demeter Fragrance Library. Don't see what you are looking for? Hundreds of "new" minis arrive weekly. Feel free to contact us with your requests anytime. Our "silent movie" has sound. Turn up your speakers and enjoy!